Guest Post: The Bluest of Blue Waters… Welcome to Lankayan Island! You’ve probably seen plenty of advertisements featuring sandy white beaches, colourful coral, tropical fish and blue water. The kind of blue that seems to mirror and enhance the sky above. This kind of blue water paradise tends to evoke the feelings we crave, escape, luxury, nature, freedom. Well, there’s a strong chance many of those advertisement photos were taken here at Lankayan Island which might well have the most beautiful beaches in the world. A tiny island off situated in the Sulu Sea, northeast of Borneo and technically in Malaysia. This island is full of idyllic green trees, beautiful flora and fauna and of course, white sandy beaches surrounded by crystal clear water. The island is only an hour and a half trip by speedboat, and small enough to walk around from end to end in less than 30 minutes. This little-known island is surrounded by aquatic wildlife. And it is a divers paradise. If you go far enough you might even have the chance to meet a whale shark! Prepare to walk a few meters outside of your bungalow and see schools of fish, small sharks and coral of every colour imaginable. All of which you can see by simply looking down into the water, clear as day! Underwater life at Lankayan Island is spectacular. 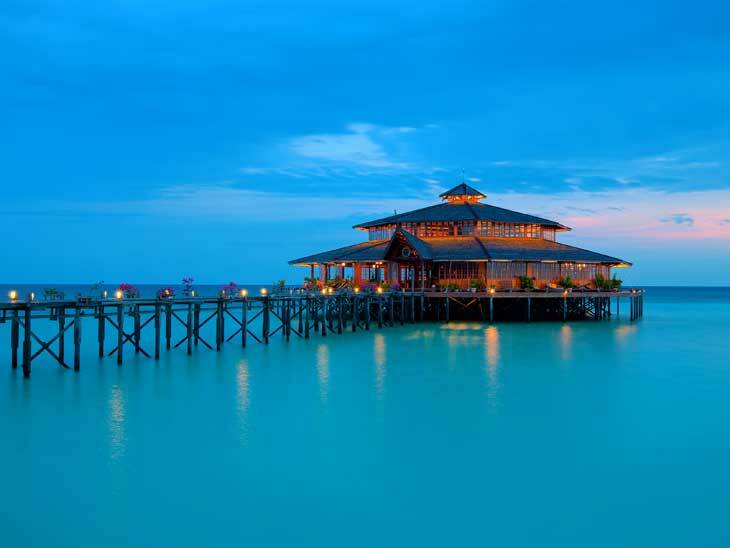 The island only has one resort with 24 bungalows. They only take up about a quarter of the island beach front, because the rest is reserved for turtle nesting grounds. That’s correct, this is situated in the perfect location to see turtles laying eggs on the beaches or hatching from the eggs. It’s mostly luck and timing, but if the time is right you may well get to see the little guys making a break for the ocean! Each bungalow is relatively isolated and private, the furnishings are generous by local standards but might be considered lacking by more developed standards. Think “glamping” rather than Four Season. But you’re not here for the accommodation, but for the 5-meter walk to the beach. Feel free to take a dip in the crystal blue waters as often as you like or simply soak in the bright sunshine on the white sands. The food buffet is delicious, featuring a mix of Malay and Western cuisine. Even the fussiest eaters won’t have a problem finding something to enjoy here. There are good variety and diversity of options too, with a mix of pizza, fries, sautéed squid, or roast lamb, lyonnaise potatoes and stir fry spicy prawns. 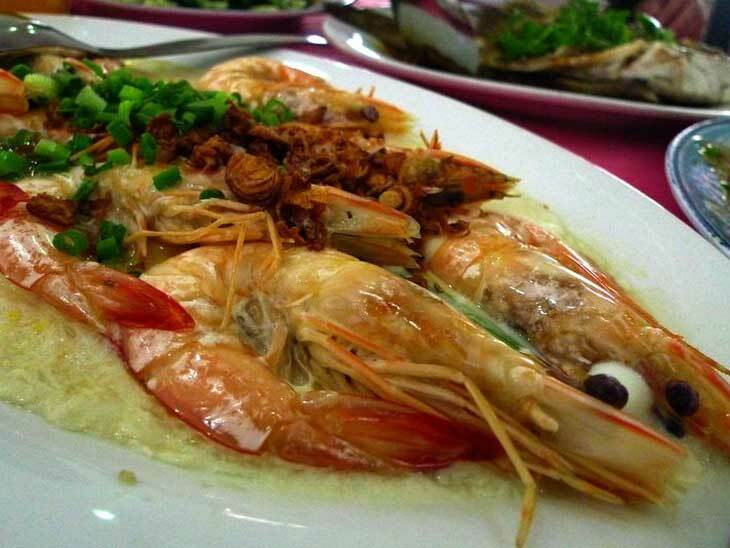 Food at Lankayan Island, Malaysia. The dining area is also serviced by bar staff who have wine, beer and other cocktails available for visitors. You might well need it after the stir fry spicy prawns! And if you’re still peckish after all of that, the venue seems to have an unlimited supply fresh fruit of every tropical kind. Including pineapple, papaya and red or yellow watermelon! There is plenty to do on Lankayan Island, from tanning on the beach, diving in the ocean or exploring the island (it’s hard to get lost when it’s so small!) Rest and relaxation are the desired option and should form the start of any island activity. Maybe try some whale watching or see where the turtle eggs are laid. If you’re lucky, you’ll see them hatch and waddle down to the ocean! Let’s be honest, though, you can find destinations just as beautiful all across Asia, but where Lankyan truly shines is the ultimate diving experience! Swim with whale sharks, or visit the moray eel reef. 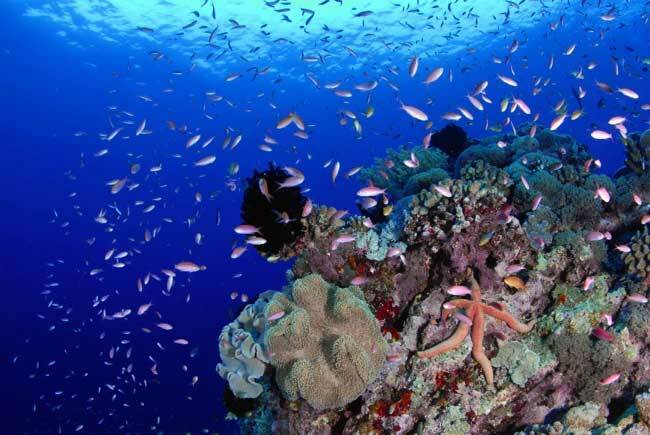 Numerous underwater wrecks and coral reefs teem with aquatic life. Colours of every kind and species of fish you didn’t even know existed. The list of potential dive sites worth visiting is enough to satisfy any visitor! There is also a small museum about the turtles and the island. 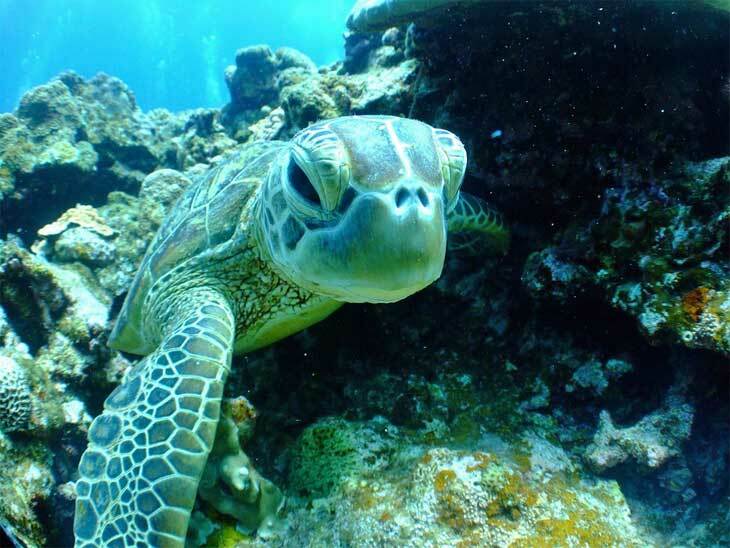 Sea turtle at Lankayan Island in Malaysia. 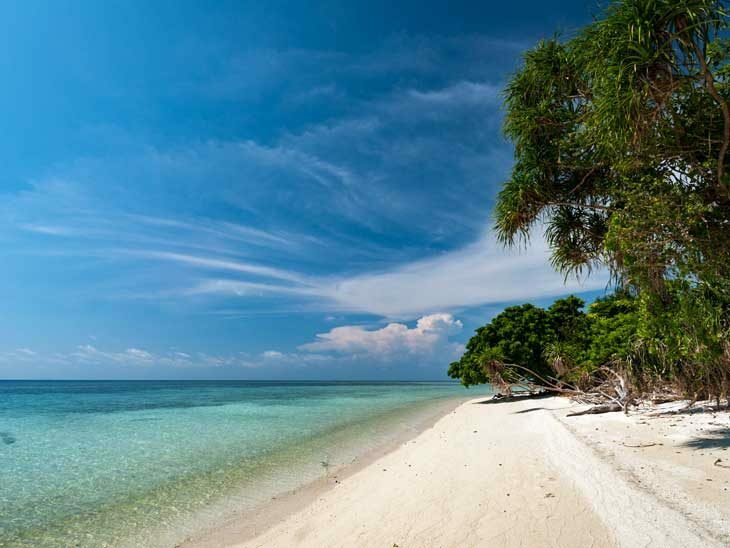 Lankayan Island is one of those jewels you can’t believe exists. The kind that advertising photos are made from and a million stunning Instagram selfies! And for the divers out there, possibly one of the most notable in the world. It is the kind of paradise every one of us dreams of visiting one day. And maybe never coming back from! If you liked this article about Lankayan Island, you might want to read my other articles about Malaysia. What are your favourites in beautiful Malaysia? Please share in the comment section below or via email, on Twitter, Facebook , Instagram or Google+.